Pallant House Gallery will be hosting a few Outsider Art Exhibitions over the autumn months this year. I became involved with Pallant through their Step Up Programme, which trained marginalised artists to be workshop leaders, and was very happy to be asked to provide poetic responses to several well known - and some lesser known - outsider artists, as part of an audio trail for one of their exhibitions. I went into the studio on September 17th to record these poems for the audio trail. 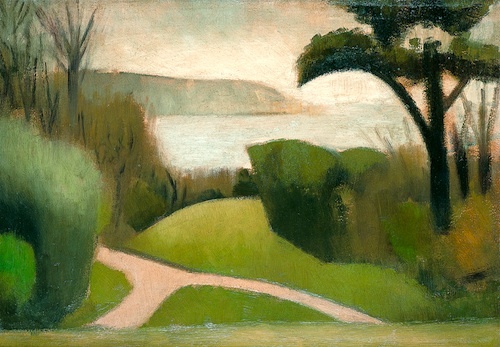 This is my poetic response to Mark Gertler's 'Near Swanage'. I want to save my soul. Will the world let me?